Richard Sanderson asked me to present a piece at his Micro-Classical festival, an annual event that favoured contemporary composed music. I’ve often credited Morton Feldman as a considerable early influence and this was an attempt to assimilate Feldman’s sound world. Subdivisions with Morton Feldman was performed once. There was no rehearsal: Nick and Hannah handled the intention of the piece superbly from a few spoken instructions prior to performance. Rhodri was unable to make the concert so we prerecorded his contribution, the harp part from Feldman’s Durations V. Nick, Hannah, and I improvised our parts. The fifth element was a recording of Art Lange reading from Give My Regards to Eighth Street: Collected Writings of Morton Feldman. It is a pleasure finally to make the piece available. Phil Durrant performed a live electronics piece dedicated to David Tudor at that same concert. The New York School was celebrated well that sunny afternoon in Stoke Newington, twenty years ago. 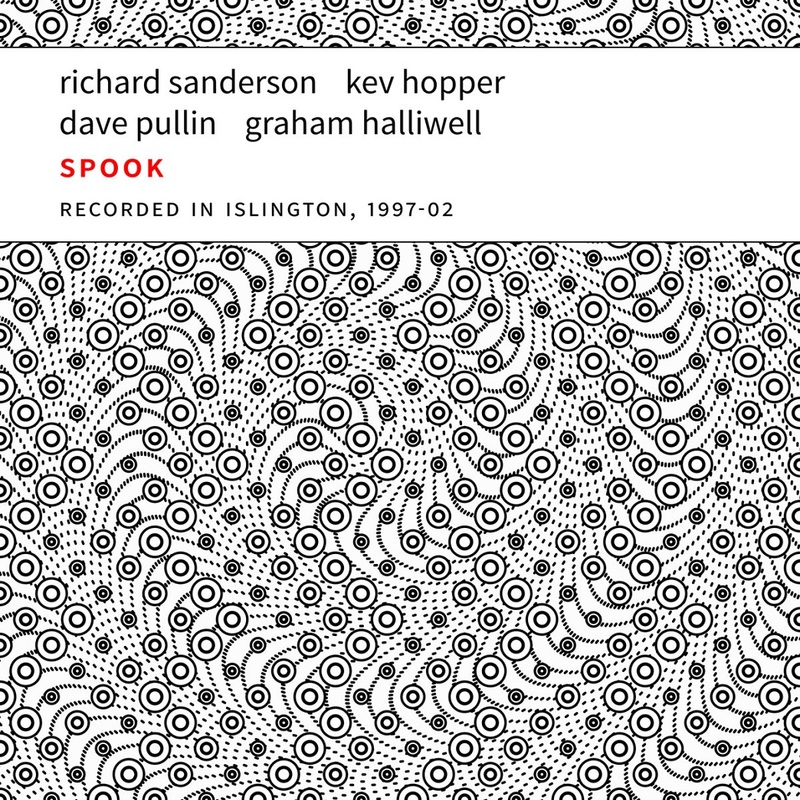 Recorded at Micro-Classical, Stoke Newington Library, London, 1998-04-04. The Confront Archives are for those who pay more attention to music than to tape hiss. Not every performance that was captured survives in perfect sound. Confront Archives releases tell the story of the music through previously unreleased recordings. 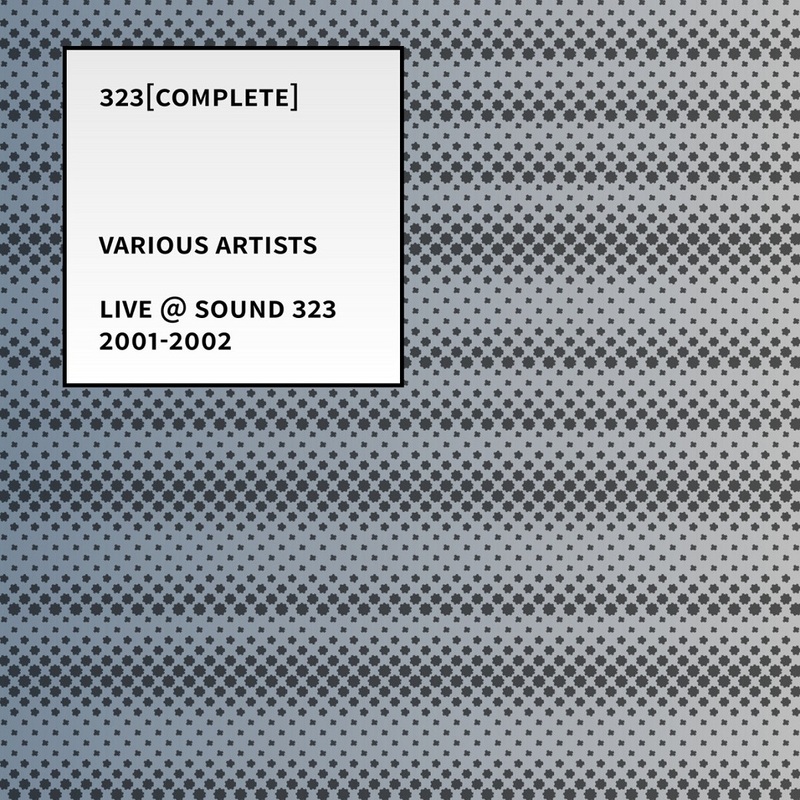 Recorded in concert at Mark Wastell’s Sound 323 record shop and originally issued as a series of four 3" mini-CDs — each in a limited edition of 300 — on Confront’s Sound 323 imprint. 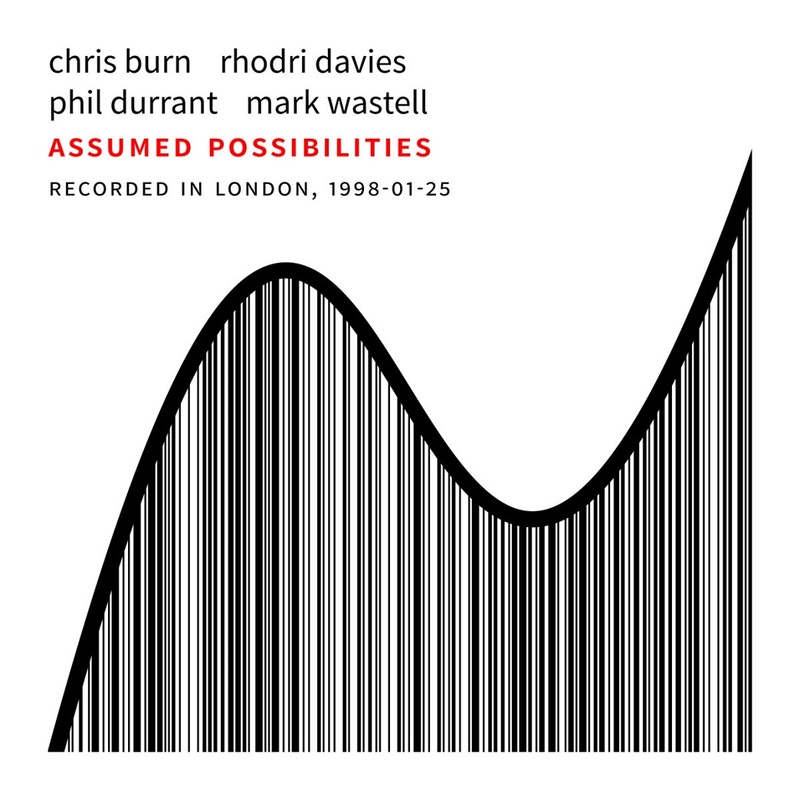 Recorded by David Reid (Keith Rowe) and Tim Fletcher (all others). Original CD colour schemes by Damien Beaton. 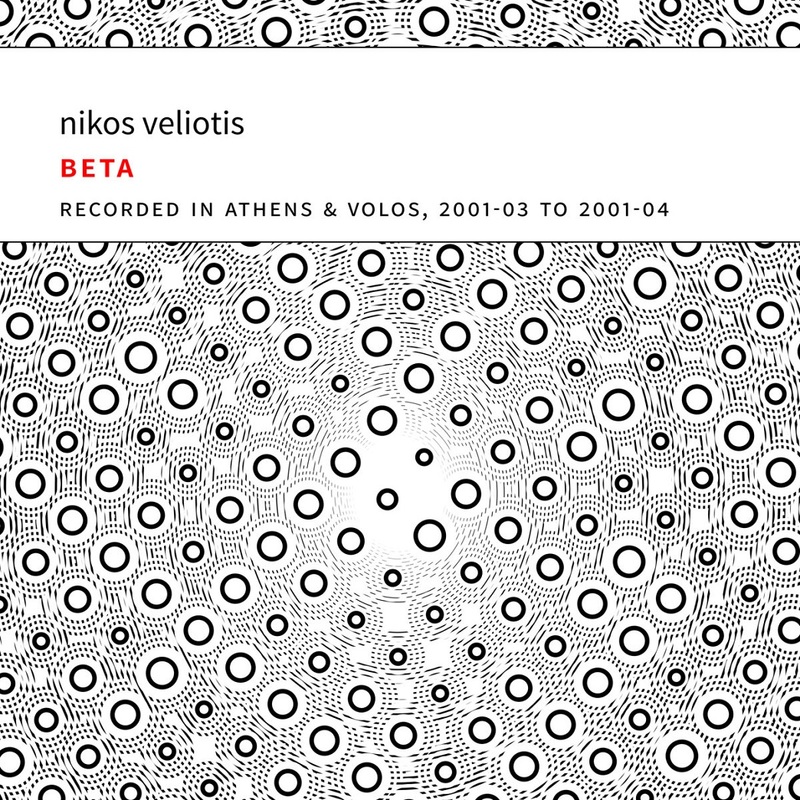 Recorded in Athens and Volos in March and April 2001 by Nikos Veliotis and Paolo Boissel, edited and mastered by Coti K, and originally released in a limited edition of CD-Rs as FRONT 08. 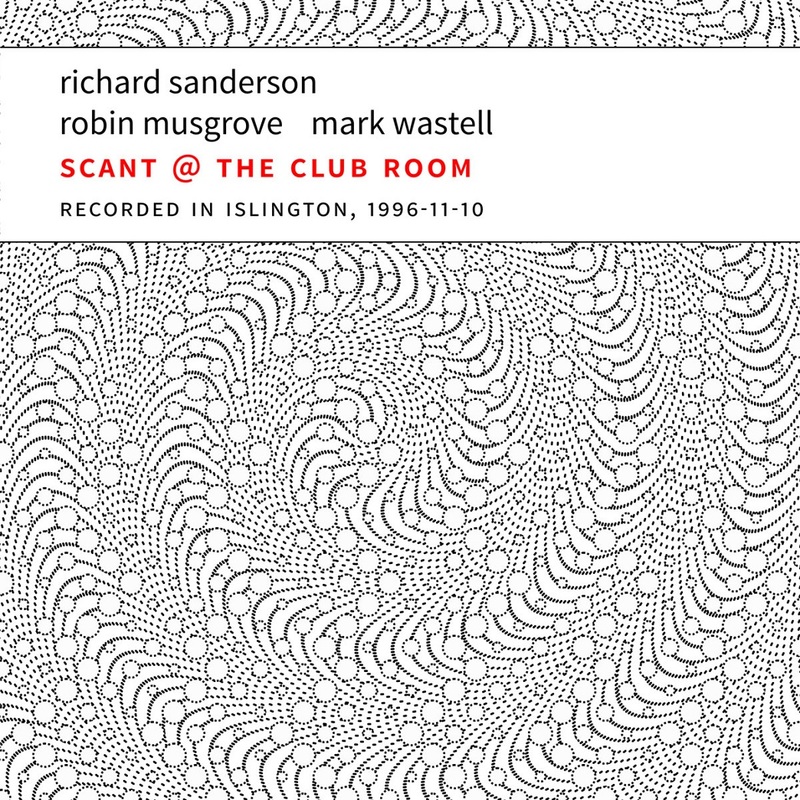 Recorded at the Club Room in Islington in February 1997 and originally released on cassette as FRONT 03. Audio for this release from an original cassette. 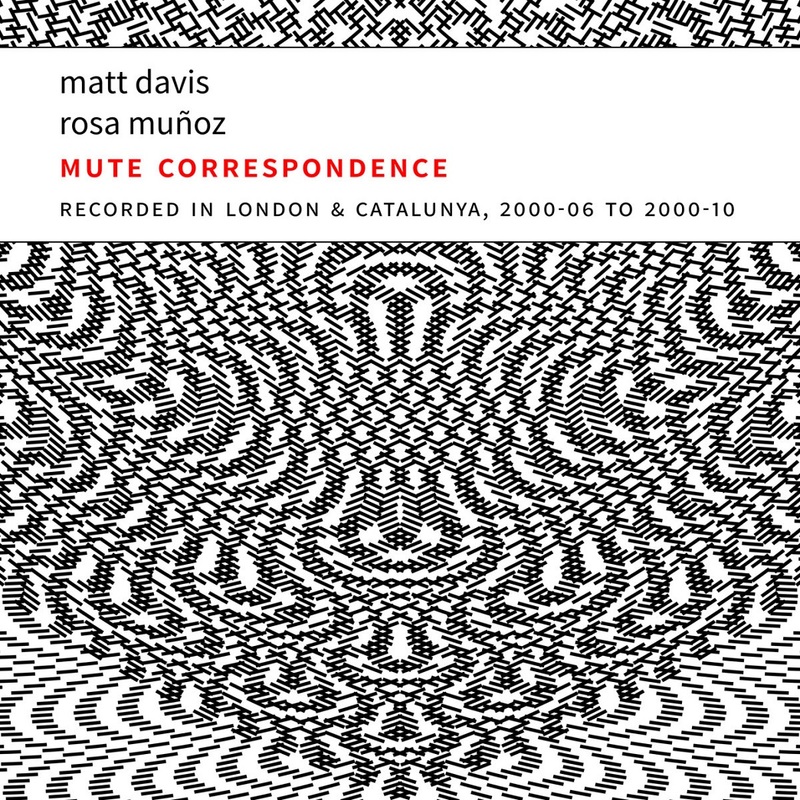 Tracks 1, 7, 9, and 11 were recorded at Salamandra Dance Studios in Barcelona in October 2000. Tracks 2 and 8 were recorded at Villavecchia Studios in Barcelona in September 2000. Tracks 3 and 5 were recorded in London in August 2000. Track 6 was recorded in Cap de Creus in June 2000. 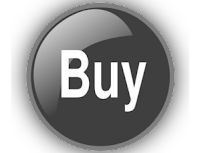 The album was originally issued on CD-R as FRONT 07. In April 1999, I left London and music for a while. In my absence, Rhodri set up a concert schedule at a gorgeous venue in West London, and there I gave my first performance on my return home. As Rhodri mentions in his charming introduction, the group was lent an international flavour by the inclusion of Italian flautist Alessandra Rombolà, then just about to complete her studies at Trinity College, and Matt Davis, who flew in from Barcelona for the concert. This was the only time the group played. This concert was recorded in West London on 2000-03-31 by Tim Fletcher and previously released on CD-R in an edition of 50 as Confront London Preservation Series FRONT 10. This may have been our debut concert, at the weekly club run by Adam Bohman. We had been rehearsing in the basement of Sound 323 for a few months, and our music had distilled into a very minimal, extreme, fixed aesthetic with specific delivery. Over eighteen months or so, we played London gigs, a mini-tour of Spain, and festivals in Göteborg and Bera in Nafarroa. In Bera, we met Bernhard Günter, ultimately forming the trio +minus with him. 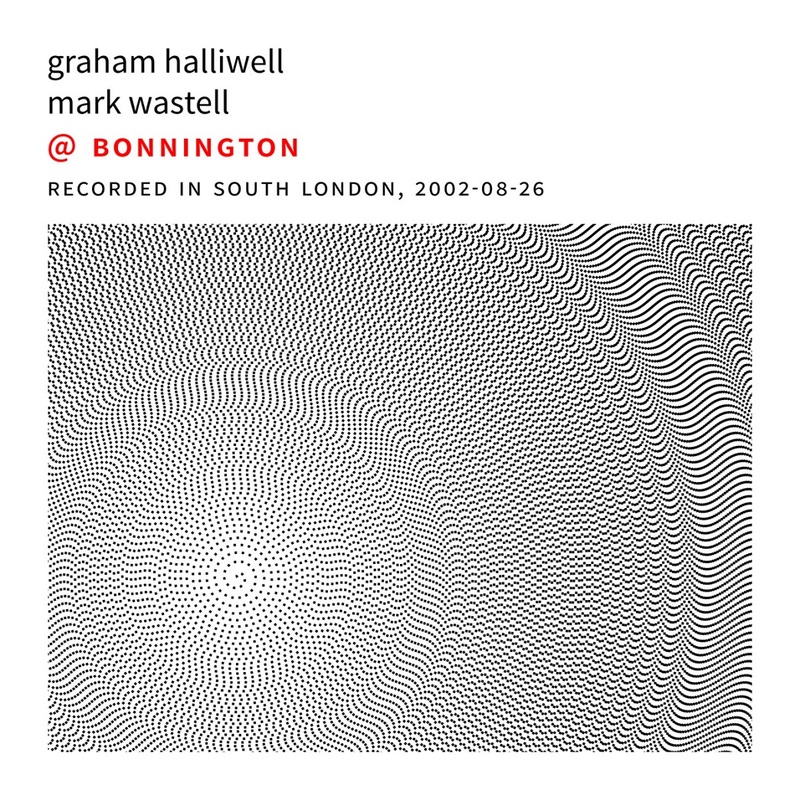 Recorded at the Bonnington Centre in Vauxhall on 2002-08-26 by Graham Halliwell and previously released without catalogue number in a limited edition of 20 CD-Rs available only at Sound 323. Everything derives from a few sources, yet the subtle intersections between Lacey’s EBowed monochord and the computer/mixer feedback activated by Vogel and Wastell soon become nodal points at which the music raises its head like a traveller awakening from sleep by a dusty roadside. The dialogue is reinforced by enthralling halos of ride cymbal by Wastell (courtesy of what Pete Townshend would call “his supple wrists”), while Vogel adds sparse clarinet shapes to a unique architecture. It’s a respectfully profane invocation which culminates in a concluding section where the slowly tolling cymbal becomes the natural substitute of the church bell that would never dare interrupt such intense communion. 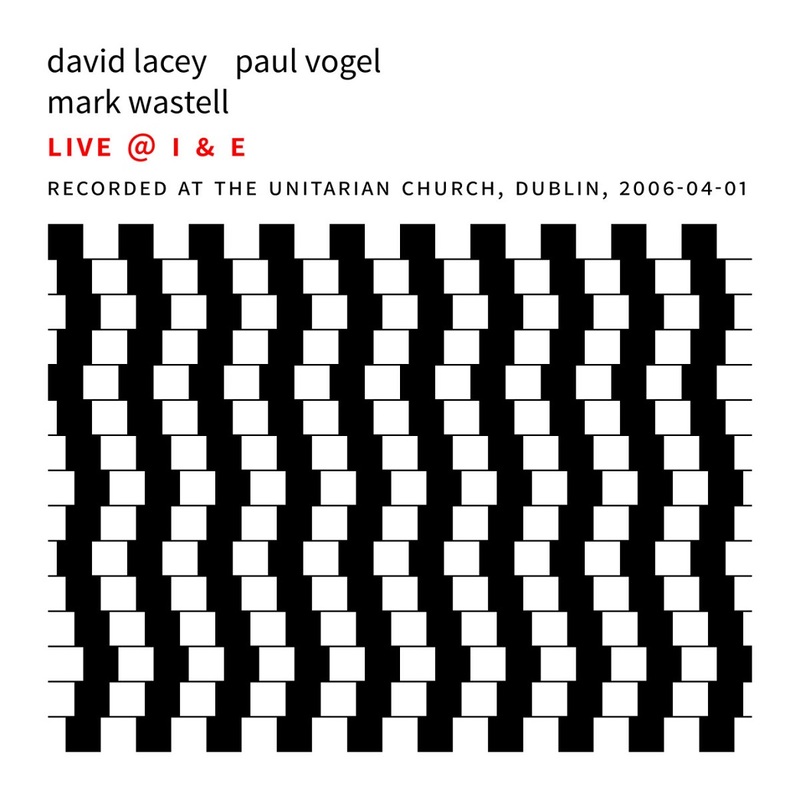 This concert was given at the Unitarian Church in Dublin on 2006-04-01 as part of the I-and-E Festival, was recorded by David Reid, and was originally released on CD-R as Confront Preservation Series 01. It seems that the whole purpose of this group is to create an ensemble sound, not a series of solos or duos. Although one player may emerge into prominence, it rarely lasts long and all four are much more interested in where the quartet can take the music than in making personal statements. Take “Ysbeiliais rifedi’r sêr” (Davies almost always manages to get some Welsh track titles into his projects), with its volcanic opening; “nobody solos, everybody solos” doesn’t even come close. These are intricate, complicated improvisations which demand your undivided attention. 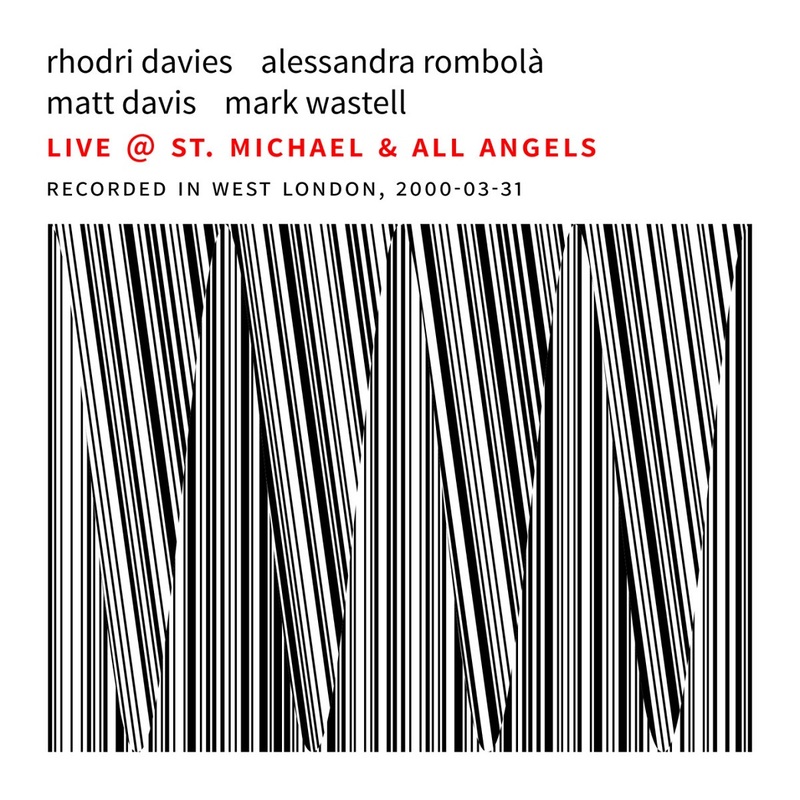 Recorded in London on 1998-01-25 by Mark Wastell and Phil Durrant, edited and mastered by Peter Cusack, and previously released in a limited edition of 100 numbered CD-Rs as Confront FRONT 05. "Four Jazz guitarists, two suites, and a whirlwind of wistful longing mark blissful time in Lugo, Spain." 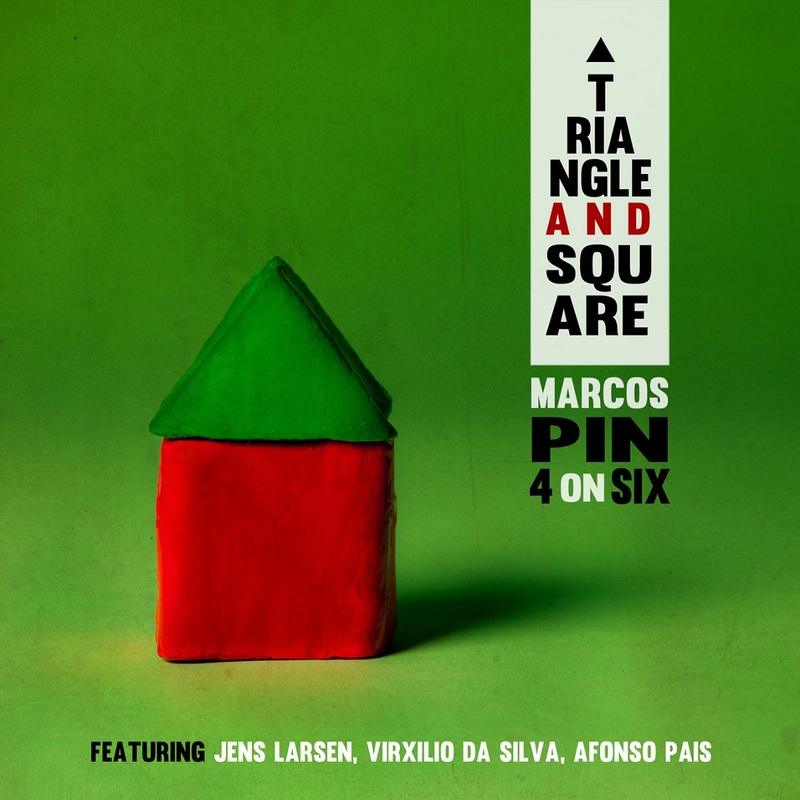 "Melodic music, with multiple layers and taken care of, what a deity must take care of city [Lugo] ..."
"Marcos Pin is a guy with many ideas. Triangle & Square is, again, a magnificent example of his musical imagination. A great album that I have also had the pleasure of listening to —repeatedly— before its release. Congratulations!!!" "Wonderful quartet that, with four guitars, create high quality Jazz"
"Good compositions and clear, varied and effective arrangements." "New Galaxy found consisting of 24 strings spinnin´around an assortment of glowing pieces. The same behaviors of material and languages in different personalities. Undoubtedly, a guitar to the fullest. You can´t ask for more." 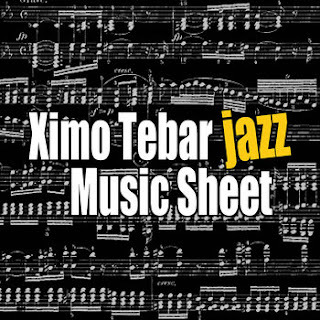 Spanish jazz guitarist Ximo Tebar, teacher, composer and producer, recreates a flavorful fusion influenced by the classics, the art of methodical virtuosity and daring jazzistic innovation. 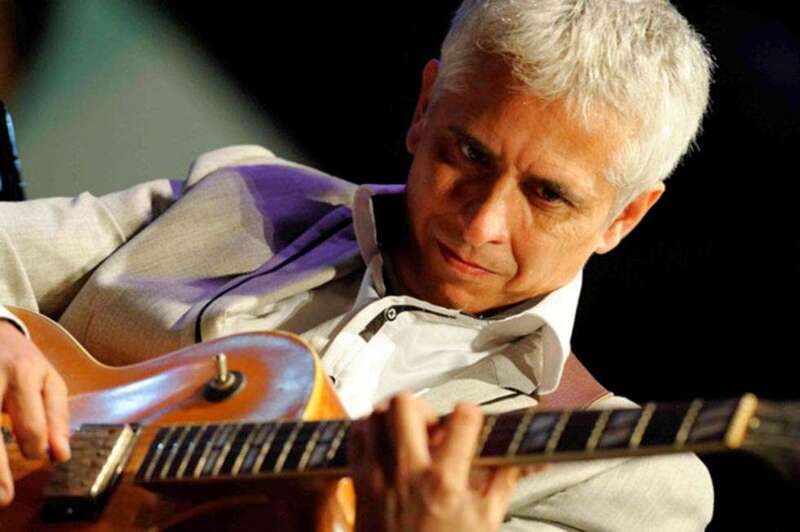 The result of his extraordinary research work on the fusion of Mediterranean music with jazz has led him to be distinguished as creator of "Son Mediterráneo". 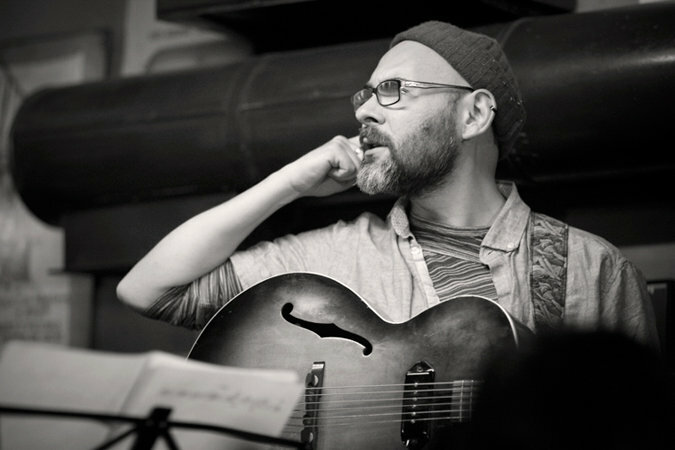 For the last two decades, the Providence, RI-based Redfearn has crafted a compelling, uncategorizable sound that is wholly his own but has tendrils that reach into a stunning variety of influences both musical and otherwise. The music is centered upon Redfearn’s arcane rock sensibilities, beguiling vocals and serpentine accordion lines, which lace the music with tinges of everything from Krautrock to minimalism, alternate-universe folk tunes to psychedelic prog. Thematically, his hallucinatory lyrics hint at mind-expanding concepts from his voracious reading and adventurous experiences, with seductive insinuations. The Opposite is the Eyesores’ long-awaited follow-up to their wonderful 2012 release Sister Death. Where that album reached toward the epic with a roster of special guests and larger instrumentation, The Opposite pares things down to the core band, with an accompanying intimacy and intensity. The sparse instrumentation is extended with the use of pedals and amplification that blend with the acoustic instruments to offer a unique, alien palette from which to draw. A stream-of-consciousness approach gives the album’s lyrics a feeling of dreamlike imagery and elusive associations. As has been the case for their last few releases, the album was recorded by Seth Manchester at Machines With Magnets. For the first time Alec worked with noted mastering engineer Udi Koomran at The Pergola. Both engineers helped to insure that the final release is sonically great. 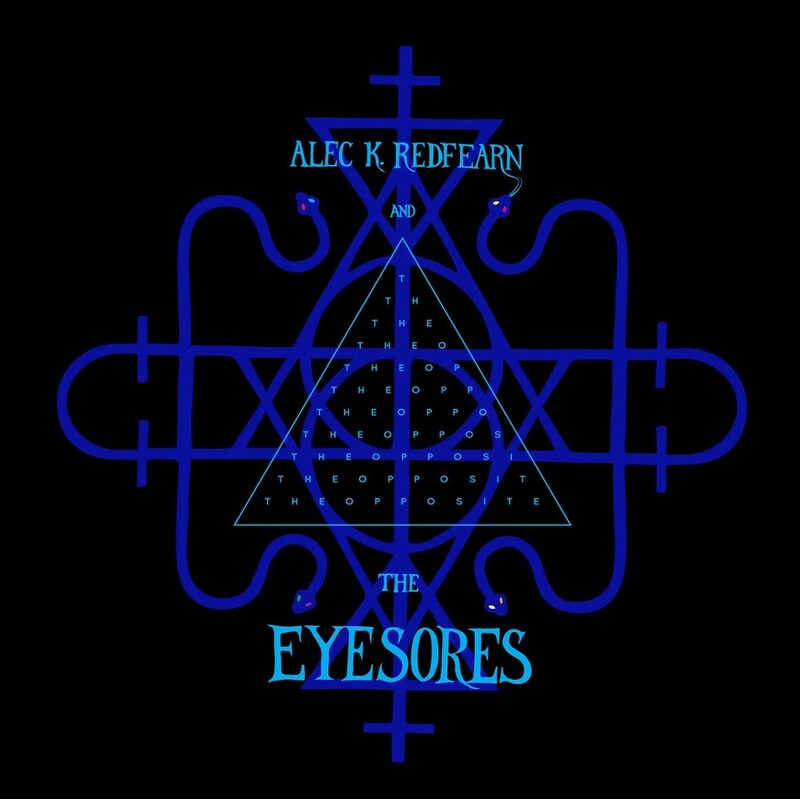 The personal and the universal, the poetic and the prosaic, esoteric explorations and the humorous insanities of daily life – all come together in the hypnotic and pulse-pounding songs of Alec K. Redfearn and the Eyesores. With The Opposite, the band has created a collection of music that is at once their most accessible and mind-expanding to date, the sort of mystery that rewards not solving but getting lost within. Thanks to Steve Feigenbaum, Cyril Moya, Rose Bannister, Joyce Feigenbaum, Javier Diaz, Machines With Magnets, all Eyesores, past and present, and to Providence, Rhode Island.